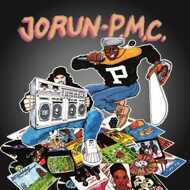 Phill Most Chill & Jorun Bombay are Jorun PMC. 12" in full colour sleeve featuring artwork by Phill Most Chill, comes sealed in shrinkwrap. Run of 500 pressed on black vinyl.